Named after the river that traces its border, the Shenandoah Valley region of Virginia is also nestled between two mountain ranges: the Blue Ridge and Appalachians. Locals enjoy the simple pleasures and outdoor activities available in Shenandoah National Park. Overall, the Valley is a large area with many different kinds of people and places to live. 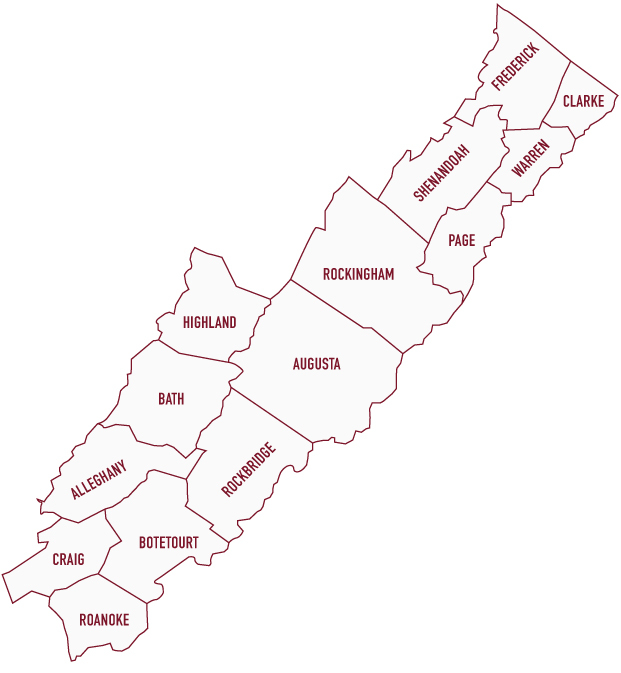 Its counties include part of Augusta and Rockingham, as well as all of Page, Warren, Clarke, Rappahannock, Madison, Staunton, Waynesboro, and Harrisonburg. At F&M Bank, we think the Shenandoah Valley is a wonderful place to live. If you’re looking to build a home here, we can help you with a construction loan. We also want to help you learn what to expect throughout the process. This guide to building your home in the Shenandoah Valley will explain how to select a land lot, budget for construction, and obtain a home construction loan. What are the benefits of building in the Shenandoah Valley? The Shenandoah Valley, which encompasses the area between West Virginia’s Eastern Panhandle and Western Virginia, is a versatile region. It’s a great place to attend college, raise a family, start a business, and retire. Whatever stage of life you find yourself in, we guarantee you’ll find it pleasant and fun to live here. When it comes to building a home in the Valley, you can choose between a rural, suburban, or urban location. Perhaps you’re ready to build your dream house on the farmland your family has owned for generations. Or you may wish to put your own unique touch on a home in a new suburban housing community. 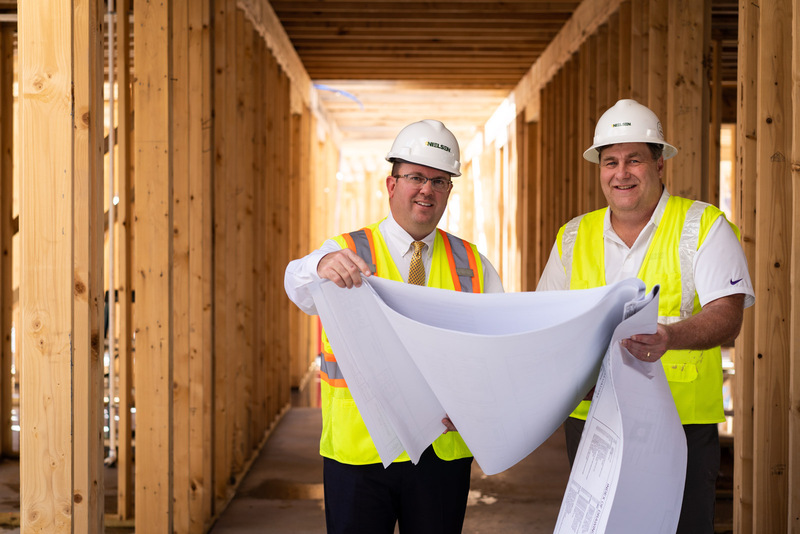 Still other homebuilders may plan to construct townhomes in the vibrant downtown neighborhoods of cities like Staunton or Harrisonburg. 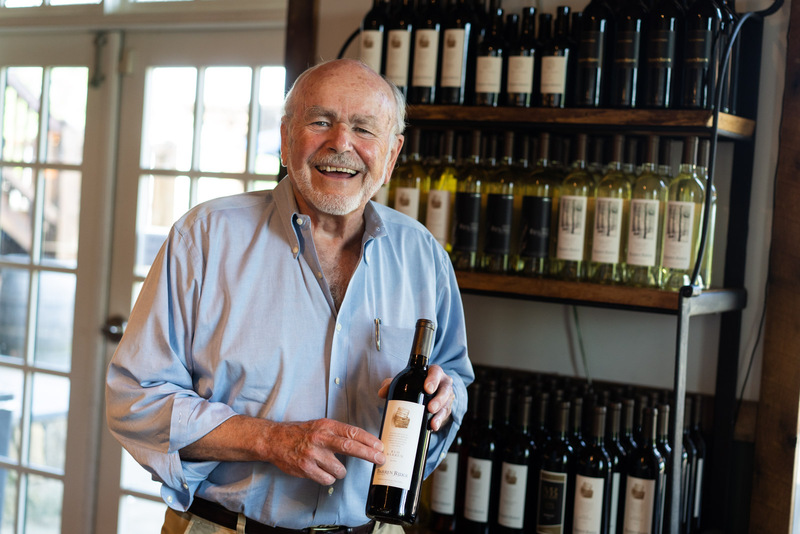 Whichever location you choose, you’re sure to enjoy the beautiful scenery and thriving arts and culinary scene that longtime Valley residents cherish. They also cherish the lower cost of living here. Compared to nearby Washington D.C. and other expensive areas of the country, the Shenandoah Valley offers graceful living at a price point that is affordable for families and retirees. For example, the Home Construction website ProMatcher estimates the cost of building a home in Harrisonburg (the Valley’s largest city and metro area) to be $119.32 per square foot. That works out to $238,640 for a 2,000 square foot house, which is lower than the national average of $288,642 (we’ll talk more about that below). Your home plan may be smaller or larger than 2,000 square feet, but either way you can rest assured that you’ll spend less on building a home here than in other parts of the state and country. Experienced real estate agent: Buying land comes with different concerns than buying a house. Make sure you find a real estate agent with expertise in land sales. Average home values: Both for the purposes of obtaining a construction loan and protecting your property’s resale value, you need to understand real estate prices in the neighborhood or community you’ve chosen. Avoid choosing a location where the cost of the lot and your planned home will exceed the average home value. Current and future zoning laws: Before you buy, research local zoning laws, building codes, and ordinances. If the land is zoned for retail, agriculture, or anything nonresidential, you won’t be able to put a home there. It’s also worth investigating the town’s future development plans so you don’t end up with a living room view of a busy strip mall five years later. Visit Shenandoah County’s Building Inspection and Code Enforcement page, or Harrisonburg’s City Code page to learn more. Your realtor should also be able to help you explore local zoning laws. Setbacks and view ordinances: Check to see what they are (in the case of setbacks) or if they come with the land (for view ordinances). Both of these factors can restrict the size and height of your home, potentially disqualifying the lot. Environmental tests and natural hazard disclosure: Ask for the latter, but also do your own tests, such as a soil test, to ensure the land isn’t contaminated with asbestos or other toxins. Landscape concerns: If the lot is near a large hill or mountain, check to see if your home will be at risk of a landslide. Also, if you’re going to build near water, you’ll want to know the history of the land (was it previously a swamp) as well as its current flood risks. Professional surveyor: Hire one to determine the boundaries between your property and neighbors’. Easements and road access: Does a neighbor have any rights to your land? Do you have access to the nearest road? Who maintains that road and will you have to contribute to the cost? These important questions could make or break your lot purchase. Utilities: Find out if the lot consists of “raw” land (meaning no utilities have been added) or land with some “improvements,” such as telephone poles or a sewer system. If you’re buying land in the country, chances are high that you’ll need to connect all the utilities yourself. In that case, make sure everything you want and need can be hooked up to your future house. On the other hand, home builders in the city or a suburban community may have easier access to water, electricity, telephone/cable, heat, and sewer system. Mineral and Timber Rights: These considerations may be the last thing on your mind right now, but you’ll be glad you checked in case coal is discovered on your property later on. The same thing goes for trees. Appraisal: Make sure you get one before you sign on the dotted line. Land purchases are less common than home sales, so it can be harder to find comparisons. If you use a construction or other bank loan to buy the land, the bank will do an appraisal. If you’re paying in cash, hire an independent appraiser to ensure the price is fair. Floor Plan: You can find one on your own from a book or magazine, or choose from a builder’s selection. Just keep in mind that the builder you choose may have to alter an outside plan to fit your lot. If you use a different builder than the one you obtain a floor plan or revision from, you may have to pay a fee for the plan. Architectural Style: The simpler and more uniform your house plan, the cheaper the cost. Overall, a two-story house with a rectangular or square shape is the most affordable design. Design Features: Similarly, any flourishes you want to add, such as vaulted ceilings or curved staircases, will increase the overall price tag. Construction Cost Estimate: Your builder should be able to provide an estimate of basic construction costs after you choose a layout. Don’t be timid about comparing estimates from several builders before you make a final selection. Quality of Materials: Your choices here will also contribute to how low or high the final construction cost is. For example, what brand of appliances do you want to install in the kitchen? What kind of flooring do you have in mind? You will have many details to select, so remain conscious of pricing as you decide. Site Preparation: Are there a lot of trees to clear or rocks to move? The condition of the lot prior to building will determine your site preparation expenses. Permit Fees: Depends on local building codes and zoning laws. Timing: The season you choose to start construction in, as well as the strength or weakness of the local economy, will affect labor costs. Detailed Contract: Make sure all small and ancillary costs, such as the price of a driveway or liability insurance, are specified in the builder’s contract. Also take a double look at the builder’s allowances, which provide for certain to-be-determined costs like kitchen countertops. Depending on your tastes, the allowances may not be realistic, which will lead to cost overruns. You may feel a bit overwhelmed at this point, but the most important step is yet to come. Unless you plan to pay for your custom home in cash, you’ll need to obtain a home construction loan. We recommend working with a local bank like F&M. As one of the Shenandoah Valley’s oldest community banks, we have a nuanced understanding of the local real estate market. We also deliver friendly and personalized service to help you reach your financial goals. Once you’ve chosen a lender for your construction loan, the application and closing process will involve an appraisal of your floor plan and future home, a credit check, and the purchasing of relevant insurance policies (see our guide to title insurance for the Shenandoah Valley). You can expect to contribute a down payment that may be higher than what would typically be required for a home mortgage. 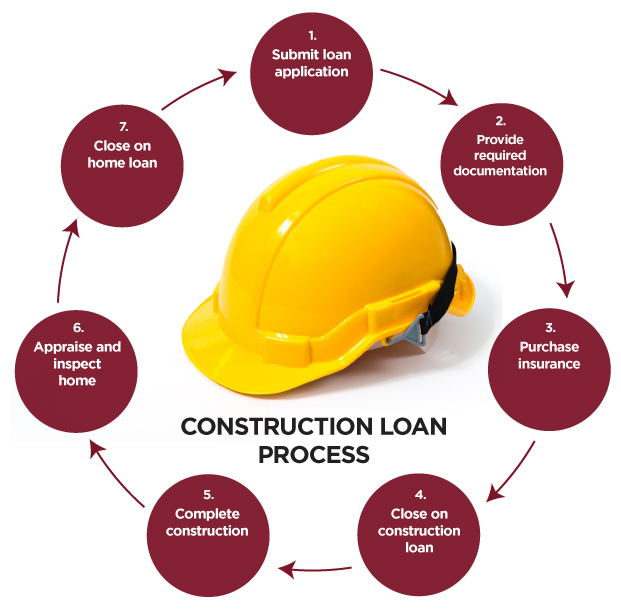 Once your construction loan is approved, your builder will receive the money in sequences. When your home is finished you’ll need to convert your construction loan into a regular home mortgage. Excavation: The builder clears the site, digs the basement if you’re getting one, and does any other necessary prep work. Foundation: Most new homes these days are built with slab foundations. However, you may need or desire a basement or other type of foundation. Framing: Now you’ll see your home take shape. As the subfloor, walls, and roof structure appear, you may decide to make alterations to the layout. Mechanics: Your home will be bustling with different contractors during this stage as heating, air conditioning, plumbing and electric are installed. Drywall: Your house acquires separate rooms and exterior materials are added. Finishings: Things get fun as your design choices–from cabinets to flooring–are added. Hardware: This is also an aesthetically pleasing stage as faucets, shower heads, and other details are placed in your home. Final Touches and Inspections: Your house is almost move-in ready, but first the builder will clean and inspect the finished home to make sure it’s safe and meets all of the specifications in the contract. Ready to get started? F&M Bank is here for you. When you’re ready to build, we’re here to help you obtain financing and understand the construction process. We can even recommend local realtors, builders, and other professionals. That’s the beauty of banking with a local institution, where all the employees are also your neighbors. Welcome to our community–we look forward to meeting all of your banking needs. Contact us today to learn more or visit your nearest F&M location.